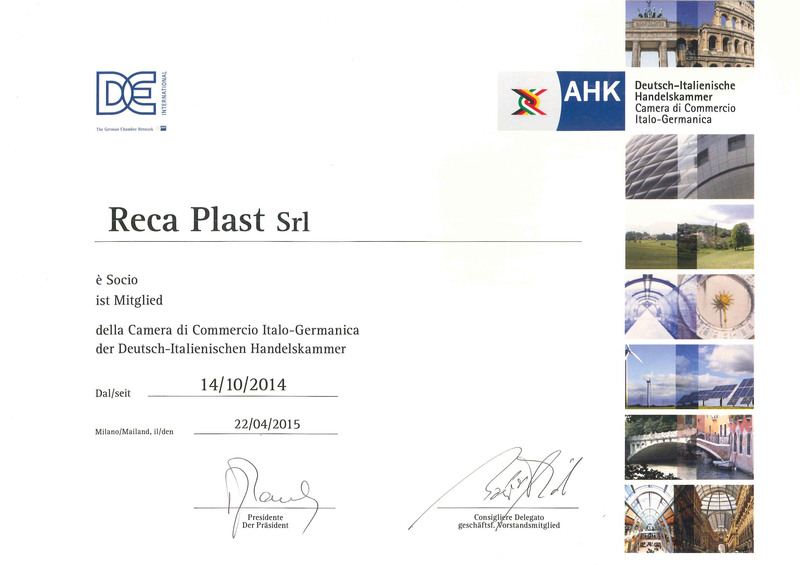 Reca Plast becomes associate of the German-Italian Chamber of Commerce! Reca Plast widen its horizons by establishing an important relationship beyond the national borders, becoming associates of the German-Italian Chamber of Commerce. Viele grüße!